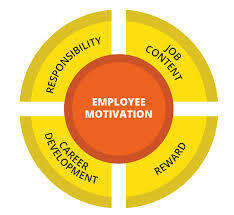 Main onjective of this article is to discuss how to develop Employee Motivation. Employee motivation is the psychological forces that will determine the direction of any person’s behavior in the organization, a person’s a higher level effort and a person’s level of tenacity. There are many solutions to improve employee motivation as part of organization. All to all, it is information on being people-oriented and not losing sight that the you need your staff for making business profitable. Here discuss some motivational process: Build a good foundation at the start, Promote a positive environment in your organization, Lead by example, Make sure that employees have a career path, Be liberal with seminars and trainings, Let your employees have fun and Offer incentives to the good worker.